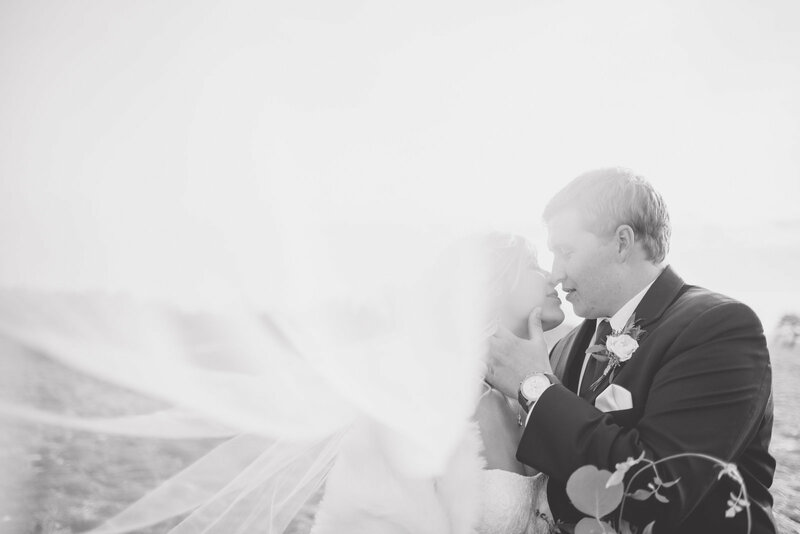 Anna and Ross had a shorter engagement and the main planning was done in the final four months before their wedding. 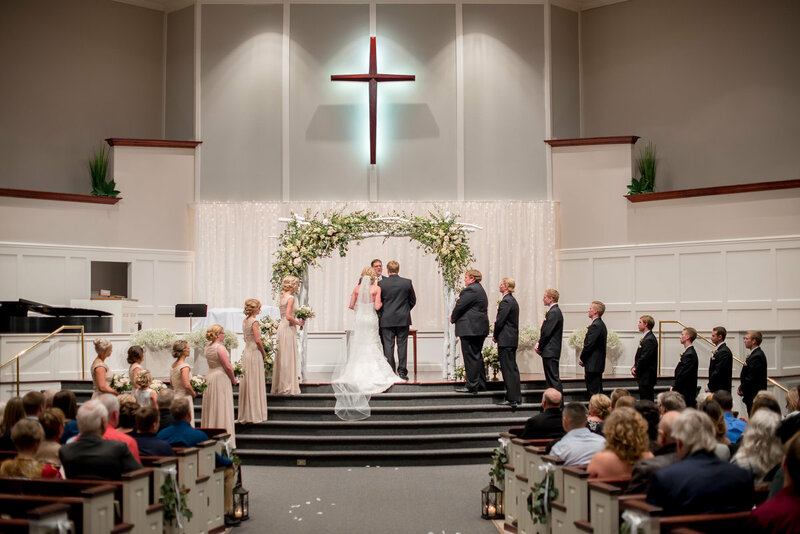 Sometimes that works out even better when there aren't months or years for planning, good decisions have to be made quickly. 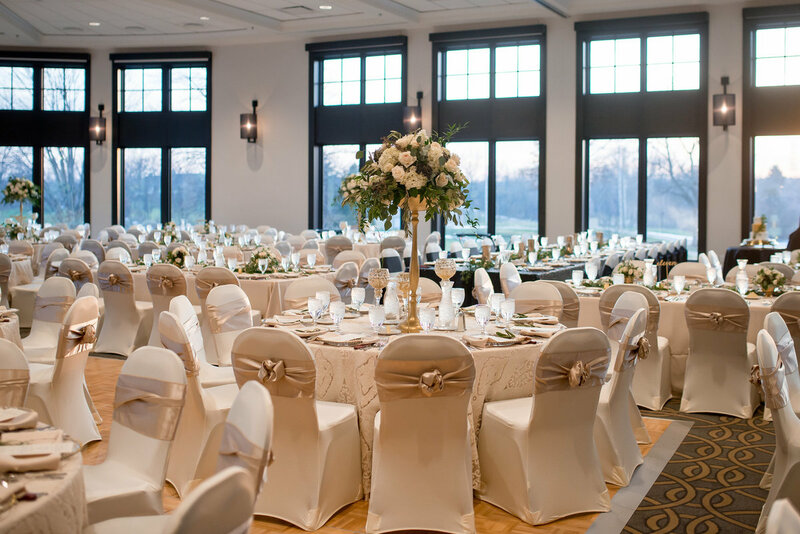 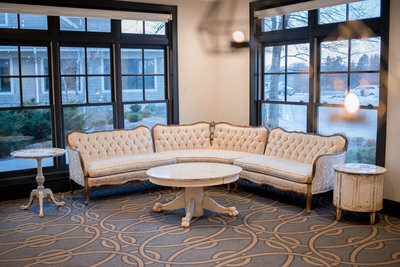 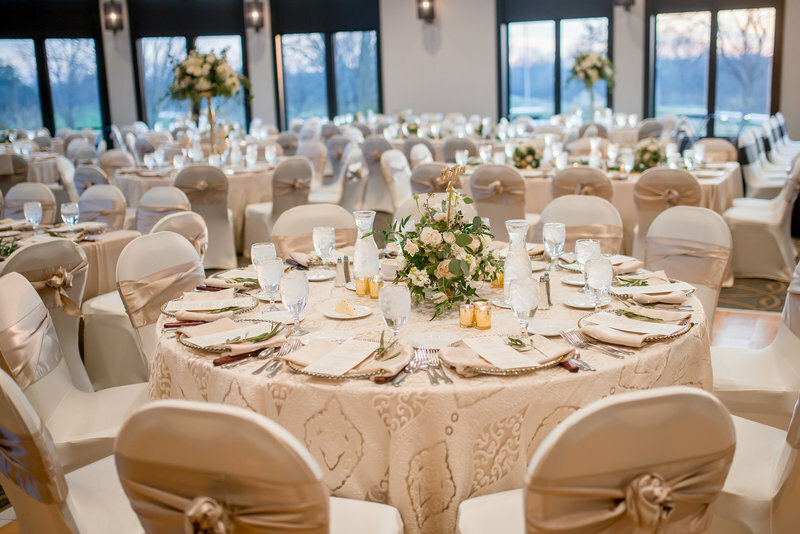 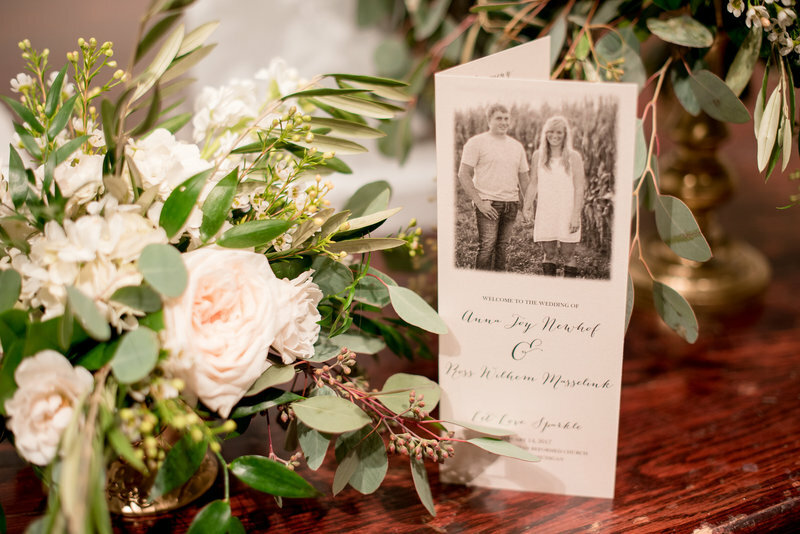 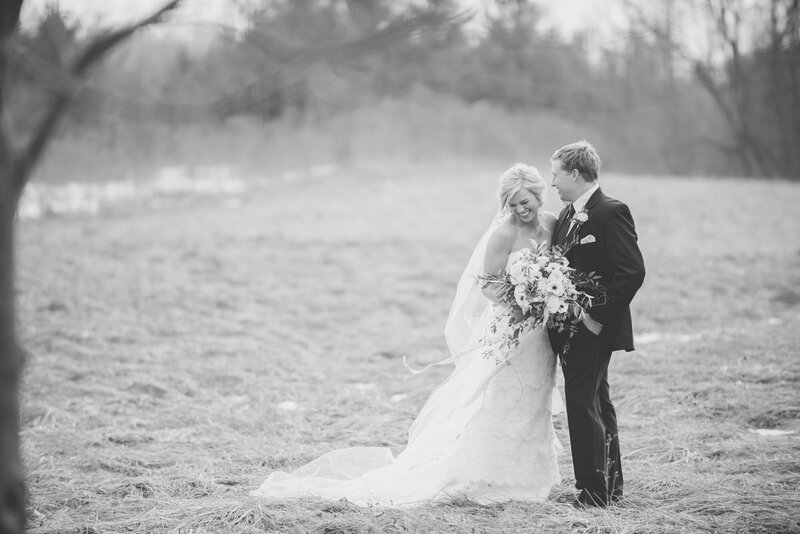 Kelly did all the planning and design for this sweet couple and it was a really beautiful winter wedding. 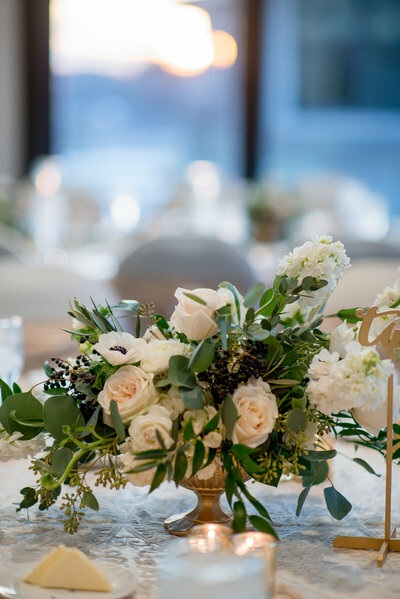 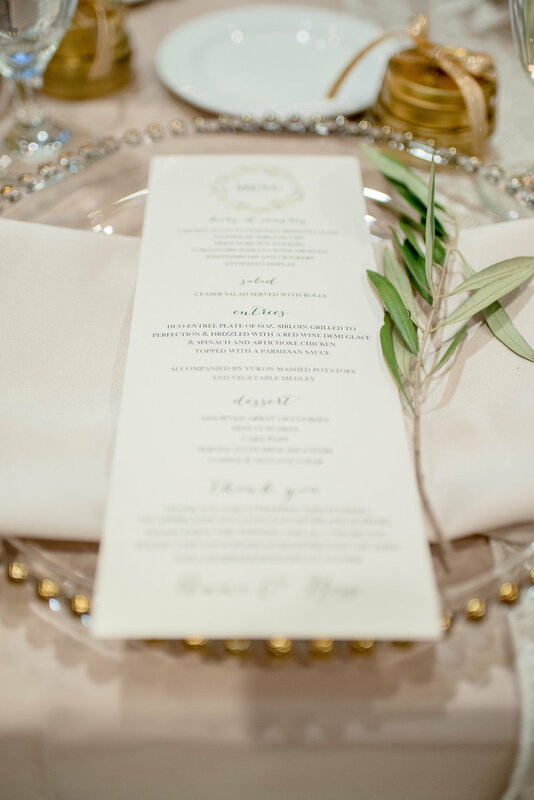 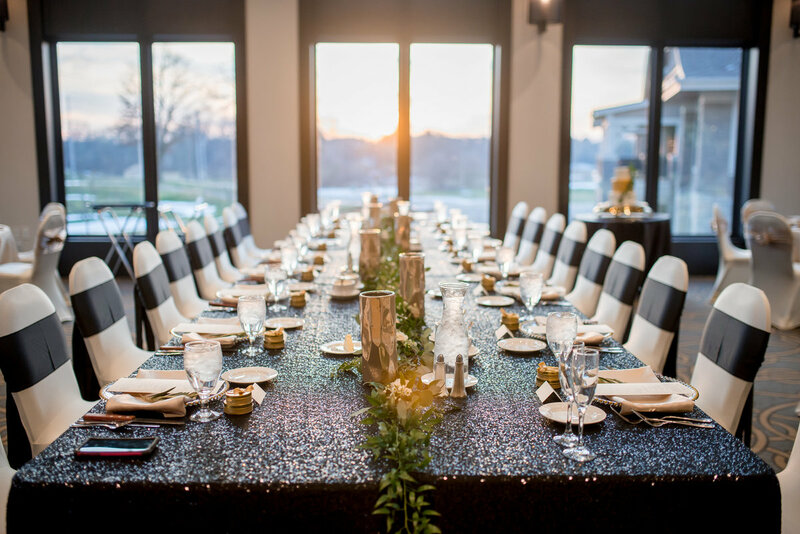 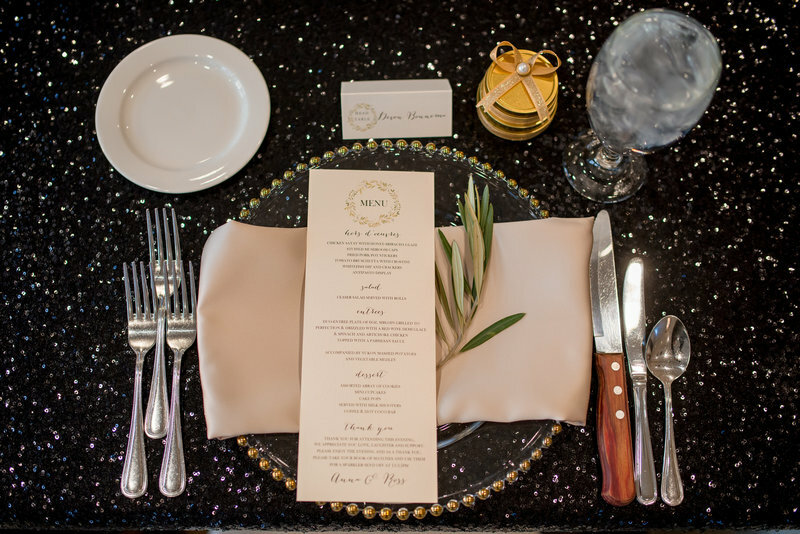 The design centered around rich colored greenery, neutral lush floral with pops of black and exquisite linens and small details. 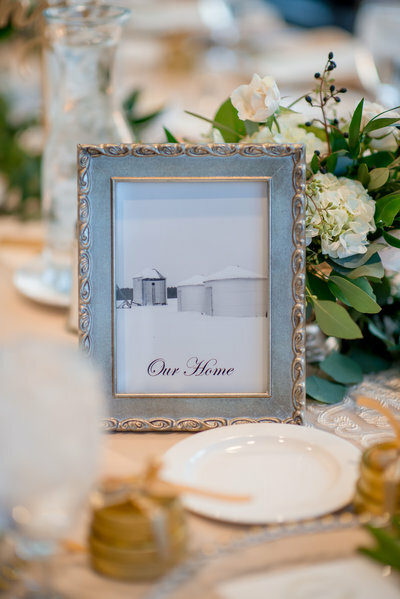 Ross' family owns a dairy farms and it was important to the couple that while they wanted a formal event, that elements of their personality still shined through. 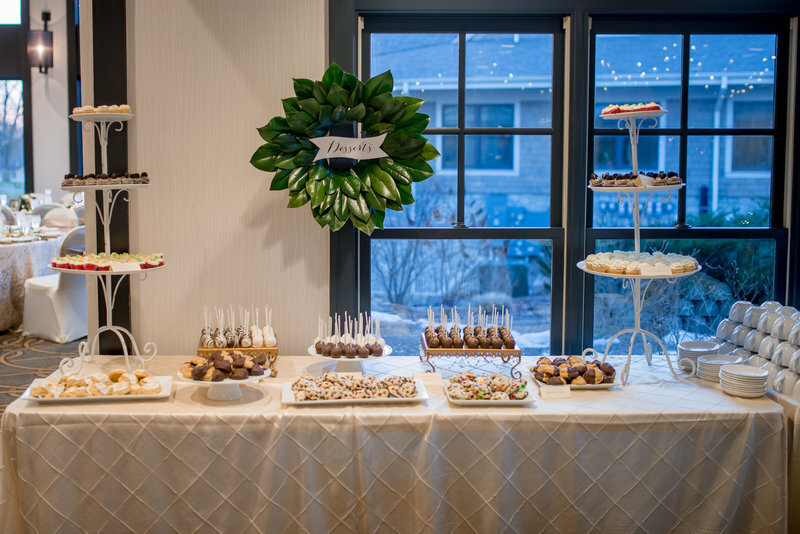 From milk crate and canisters to shots of milk to go with guests desserts, their personality shined through. 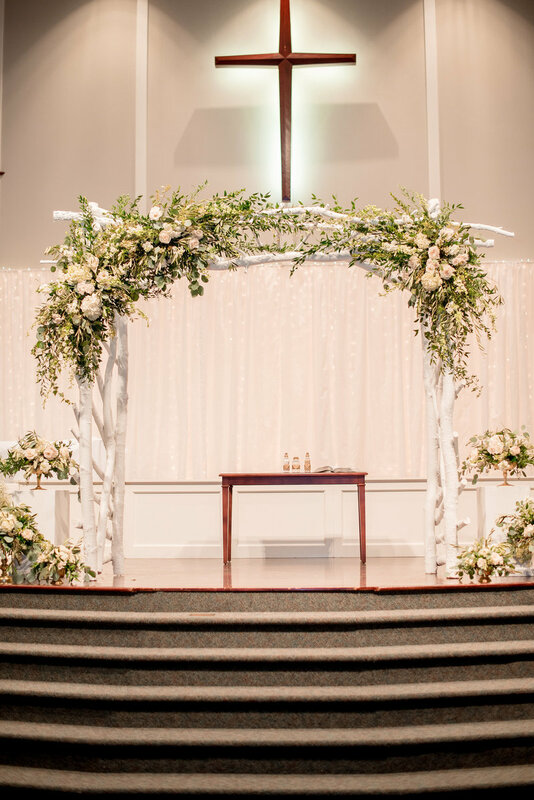 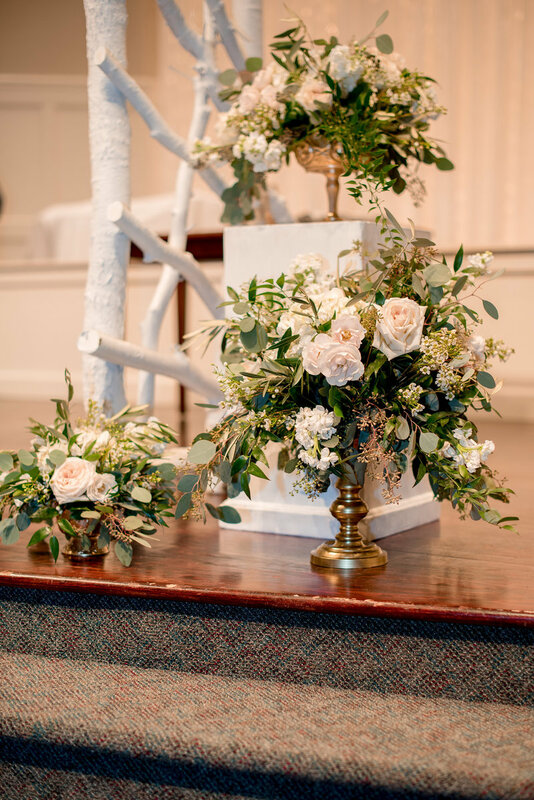 The couples home church was where the ceremony took place and the couple were married under an arbor made by the bride's father and dressed up with blooms by Ludema's Floral. 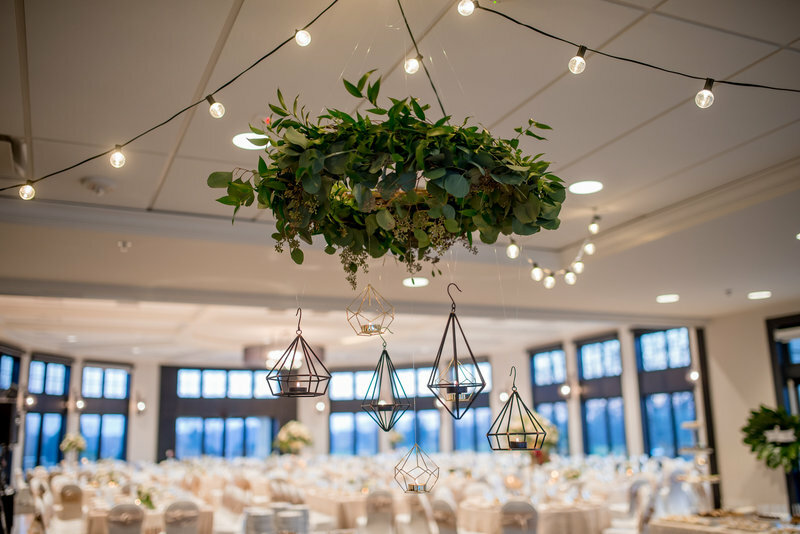 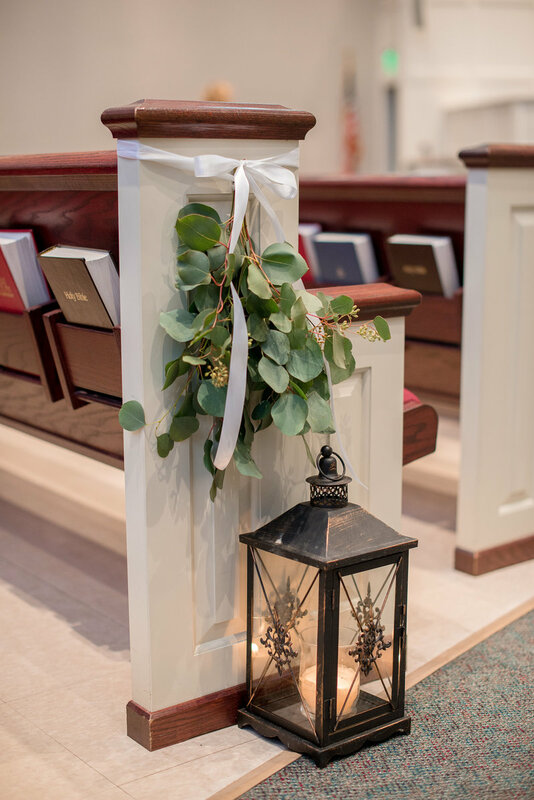 Lanterns with greenery accented the aisle and entrance to the church and guests were handed programs that held beautiful details about the couple and their lives together.